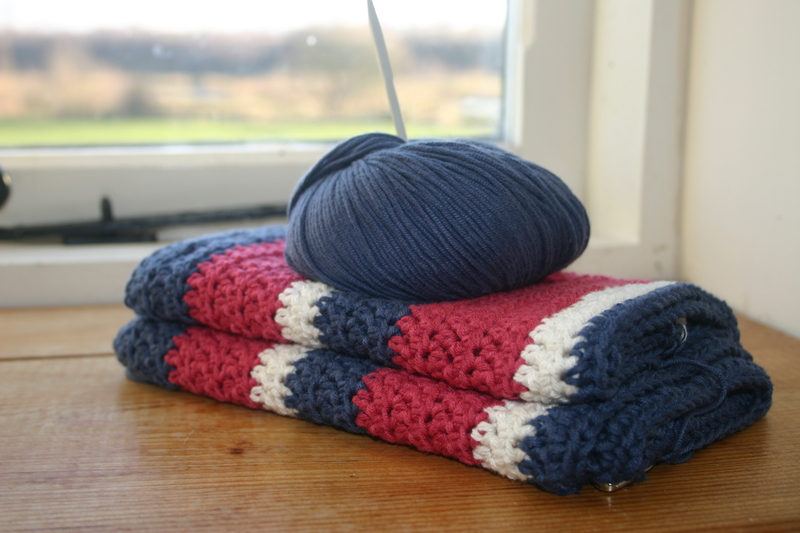 So, I’m embarking on what I think will be a bit of a crochet marathon (for a beginner anyway)….a baby blanket! I decided to make some gorgeous baby booties for my nephew as a gift for Christmas. I found this fantastic pattern from Sylver Designs on Etsy. There’s some translating to do between the American and UK terms but the stitches are fairly basic so I thought they would be perfect for my next project….. I was wrong, wrong, wrong. I keep messing up the pattern by keeping the yarn too tight or attempting it when I’m too tired and keep missing stitches/losing count. SO, I have put the booties to one side while I calm myself down. So, as I say the blanket is a diversionary tactic to keep my confidence and sense of achievement up! As you can see I’ve made a start so wish me luck…..
Those stinking booties are the cutest things ever! Keep trying on them–they’re definitely worth it. I’m a newbie crocheter, and I crochet way too tightly, too, so I know that’s very frustrating. Good luck on your blanket, too; that’s a great diversionary tactic! Blanket is looking good, Americana! 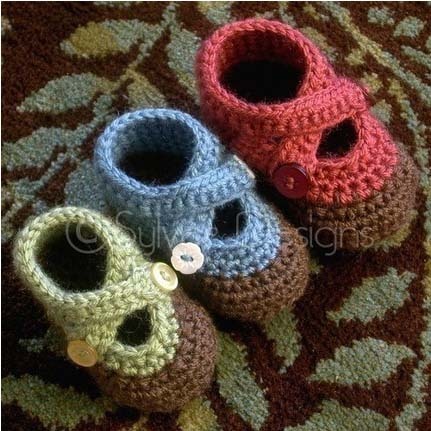 I crochet booties and I know where you’re coming from as far as loosing count. Family knows they better not expect an answer from me when I’m crocheting!